You are a warrior in the ever-lasting battle for a steady stream of electronic transactions. Perspective customers want easier integration APIs, existing clients are requesting more features, PCI regulations are becoming more strict and the technology behind your existing platform is nearing the age of dinosaurs; all the while profit margins continue to shrink due to high market competition. You are concentrated on marketing campaigns and customer service and have no time for complex infrastructure upgrades or management of an in-house development team. You want an affordable solution, a unified platform that could take care of your operational needs, allowing you to concentrate on sales, and increase your marketable feature list, opening doors to the new industry segments. UniPay can help you in your quest. Support for multiple processing platforms and banks will enable you to widen your portfolio of underwriters and processors. Sophisticated integration API, combined with well defined certification process will make boarding new clients a breeze. Modern technology will reduce processing latency and streamline key operational procedures. We, as a team, will help you become operational with any card processing platform or any bank that is currently supported and will quickly build integration for a platform or a bank that we don’t have on our list. 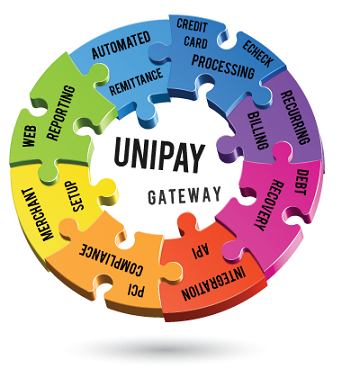 Contact us to discuss your options as UniPay powered ISO. The right choice of the payment processing platform can help ISOs businesses to become more successful and prosperous. What Payment Gateways do Companies Like Airbnb and Uber Use? Is Your Need For Recurring Billing Complex?